"You Say" is the lead single by American contemporary Christian music singer-songwriter Lauren Daigle for her upcoming second studio album, Look Up Child. Written by Daigle, Paul Mabury and Jason Ingram, it was released as a single on July 13, 2018. It charted on the Billboard Hot 100 at No. 53, her first entry on the chart. It is also Daigle's third No. 1 on the Hot Christian Songs chart. The song debuted at No. 22 on the Christian Airplay chart, becoming the best start for a non-holiday song by a solo female artist in over eight years, since Francesca Battistelli's "Beautiful, Beautiful" debuted at No. 21 on March 20, 2010. "You Say" was released on July 13, 2018, as the lead single for second studio album Look Up Child. The song was released to Christian radio on July 9. Daigle sat down for a podcast with Billboard, and discussed her new single and upcoming album. "I knew this would be a song of my identity," she says. "'You say I am loved.' That's the truth." As for the album, Daigle says, "I want this to be such a record of joy, such a record of hope, that people experience a childlikeness again. In the time of making this record, I had to remember who I was as a child. I want people to reflect on, 'The innocence of my childhood … how do I see myself through those eyes again? How do I love myself like that again? Where's that joy? Where's that hope?'" A music video for the single "You Say" was released on July 13, 2018. 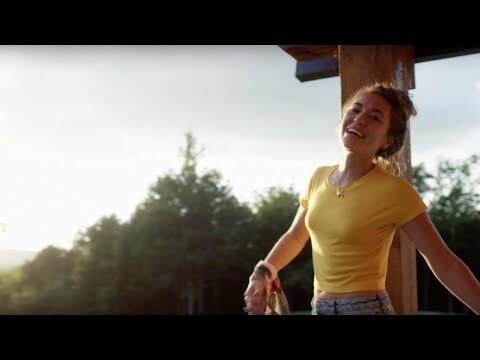 The visual shows Daigle in soft, golden-hour lighting as she sings about being accepted by God. "You say I am helped when I am falling short/ And when I don't belong, Lord you say I am yours/ And I believe, yes I believe what you say of me," she sings.